September 23, 2017, 6:00pm – 10:00pm. 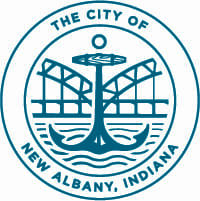 The Carnegie Center for Art & History is hosting its 2017 edition of the New Albany Public Art Project event at the New Albany Riverfront Amphitheater on Saturday, September 23rd, 6:00pm – 10:00pm. Titled #IAmPublicArt, this year’s event will incorporate a wide range of opportunities for visitors to engage in creative expression, participate in hands-on activities for all ages, and enjoy food and drink from local vendors. The event will feature three Pop-Up Art Installations created by professors and students from local universities – one piece each from Indiana University Southeast, Bellarmine University, and Kentucky College of Art + Design. The installations will be unique creations employing multiple media made specifically for the spaces they inhabit, to be viewed and experienced for one night only. Visitors are encouraged share images of their favorite installations at the event using the hashtag #IamPublicArt on Instagram. Whichever art installation finishes with the most images posted of it will get to live to see another day, to be installed again at the Carnegie Center! In addition to the art installations, there was a strong slate of performers from Louisville and Southern Indiana on the Amphitheater stage curated by Louisville artist and renaissance man, Jecorey Arthur, aka 1200. Jamey Aebersold Quartet – National Endowment for the Arts Jazz Master and New Albany resident Jamey Aebersold, with special guests. Check out this video of Jamey Aebersold and friend Steve Crews as they stopped by for an impromptu jam session at the 2015 New Albany Public Art Project piece Exchange by Actual Size Artworks. Maker13 will be stopping by the event this year to educate and inspire visitors to create and build. Our friends at HOME Skateshop are organizing a game of S.K.A.T.E. competition for both beginners and advanced skaters, with prizes going to the winners! There will also be food by DISTRICT 22 PIZZERIA and GET IN YOUR BELLY DELI, plus premium frozen yogurt and ice cream by SweetFrog, and more to keep your energy levels up. Please be sure to search #IamPublicArt on Instagram to see images and videos visitors shared from last year’s event!